Lena A. Smeal, 94, of Linden, passed away with family by her side on Wednesday, Nov. 23, 2016, at her home. Born Dec. 13, 1921, in Clearfield, she was a daughter of the late Wilbur and Alice (Farrell) Rauch. Lena married Burton “Bert” S. Smeal, her high school sweet heart, and together they shared 61 years of marriage before his passing on Feb. 20, 2007. 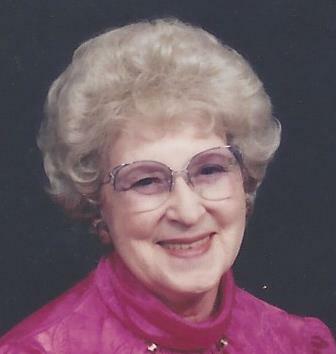 Lena was a lifetime member of Linden Presbyterian Church where she served on various committees and was very active over the years. Lena and Bert were members of the “Grand Squares” where they danced together for many years and served as president. Lena enjoyed bowling and was a loving wife, mother, grandmother, sister and aunt, but her kindhearted personality is what earned her the title of “the Angel of Linden” where she offered care and compassion to many others in the area in their greatest times of need. Surviving are a son, William “Bert” Smeal, of South Williamsport and a daughter, Connie M. Fox, of Williamsport; four grandchildren, Christine Kressen, David Smeal, Amy Smeal and Joshua Smeal; two great-grandchildren, Isabella and Carter; a sister, Mary Lee (William) Povish, of Montoursville; and several nieces and nephews. A memorial service to honor the life of Lena will be held at 11 a.m. Monday at Sanders Mortuary, 821 Diamond St., Williamsport, by chaplain Rebecca Logan. A visitation will be held from 10 a.m. until the time of service. Burial will follow in Green Lawn Memorial Park, Montgomery. The family will provide the flowers and suggest memorial contributions in Lena’s name be made to Woodward Township Volunteer Fire Company, 147 N. Route 220, Linden, PA 17744. Arrangements entrusted to Sanders Mortuary.